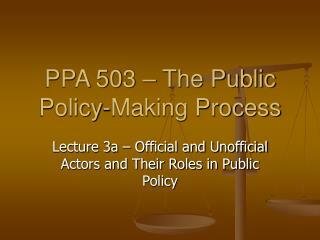 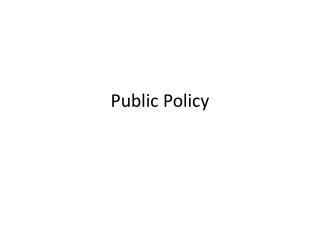 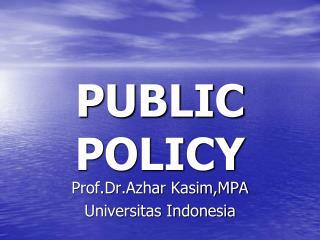 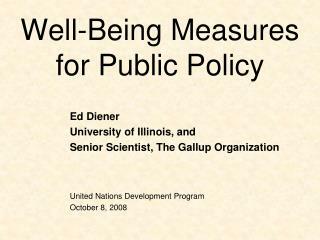 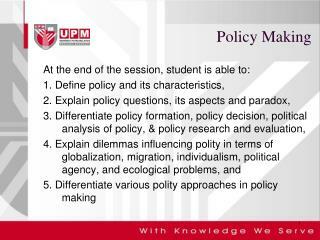 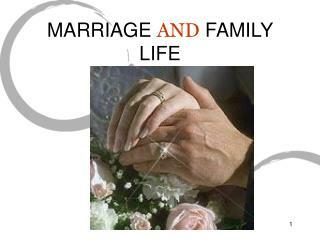 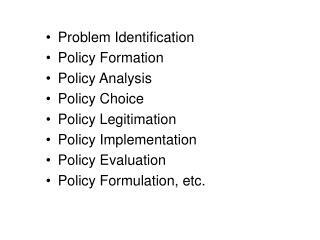 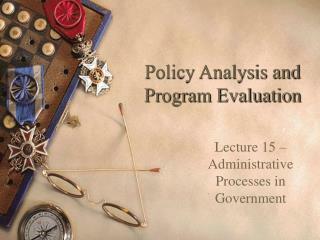 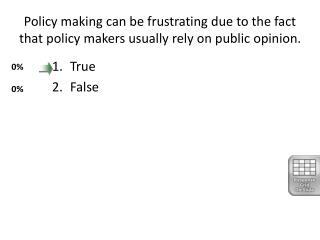 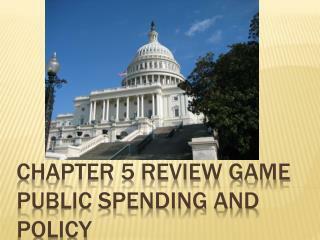 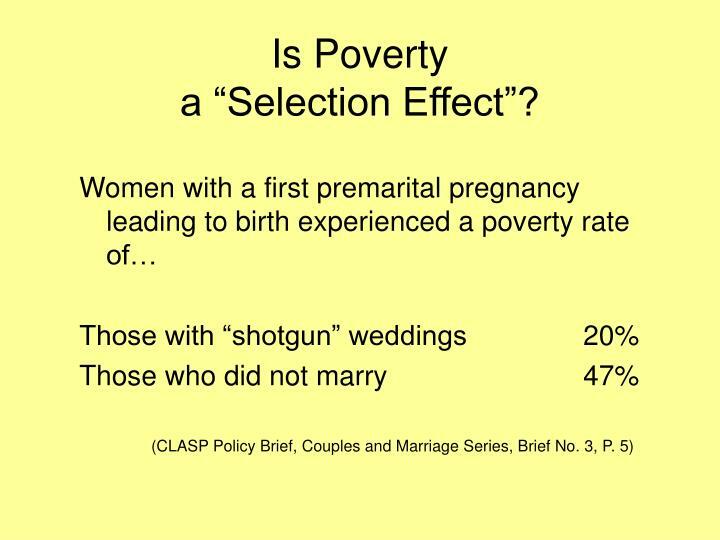 Marriage Public Policy. 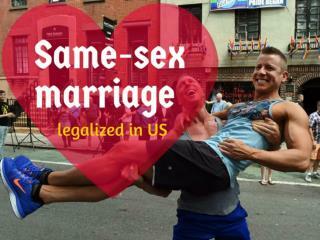 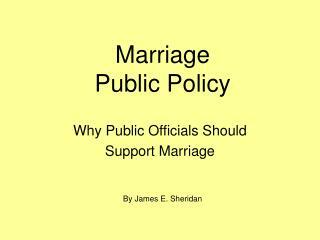 Why Public Officials Should Support Marriage. 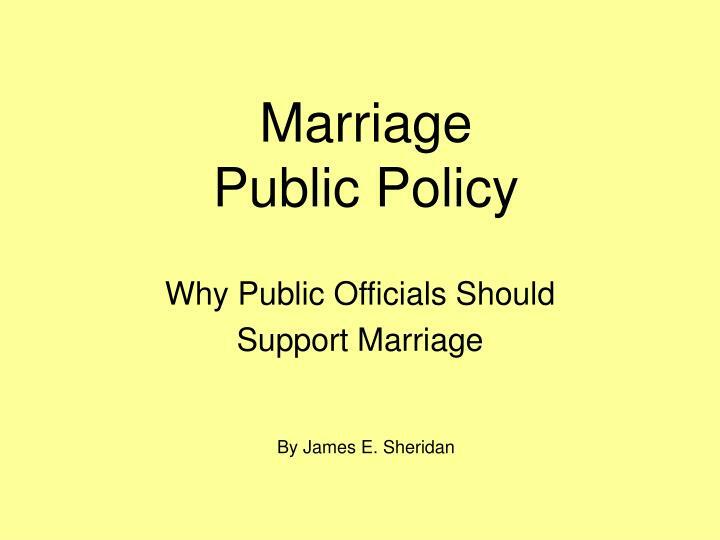 By James E. Sheridan. 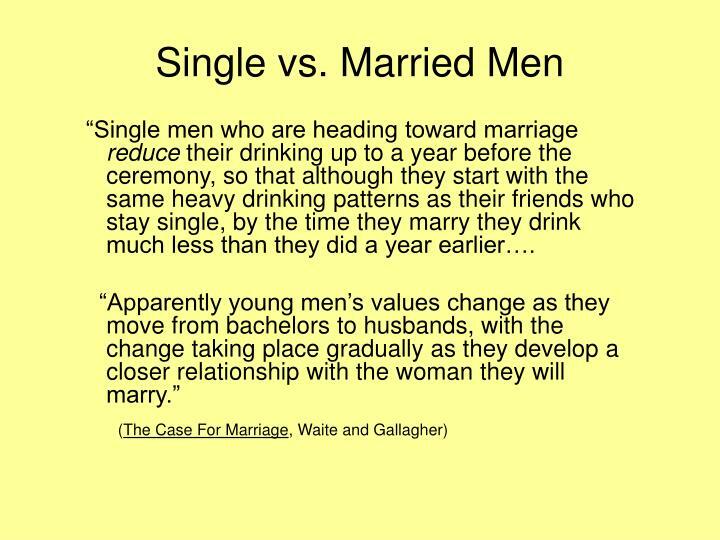 Single vs. Married Men. 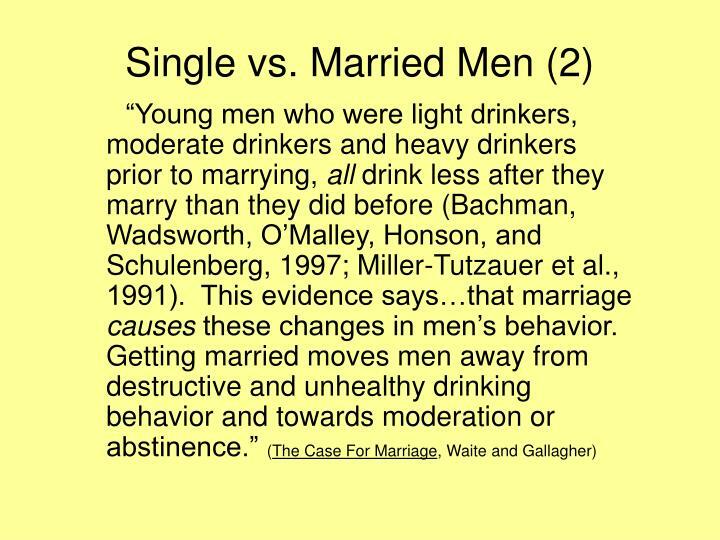 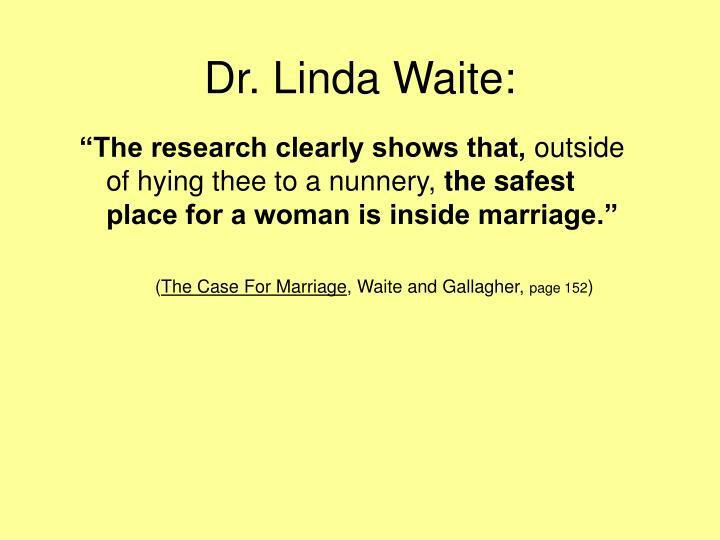 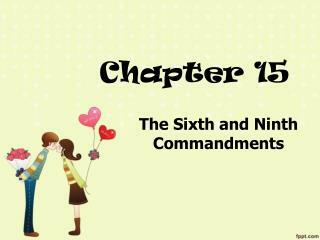 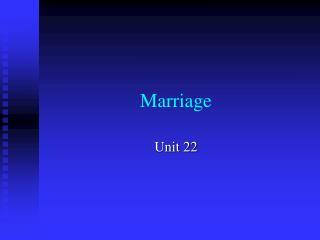 “Single men who are heading toward marriage reduce their drinking up to a year before the ceremony, so that although they start with the same heavy drinking patterns as their friends who stay single, by the time they marry they drink much less than they did a year earlier…. 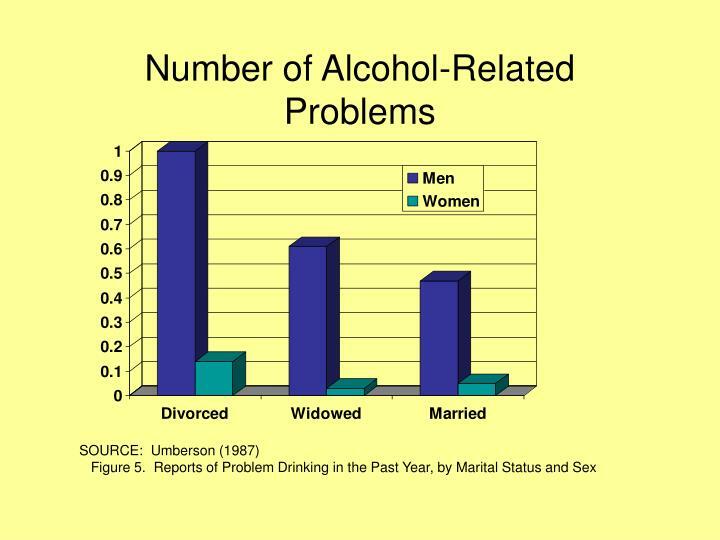 And, it’s not just alcohol. 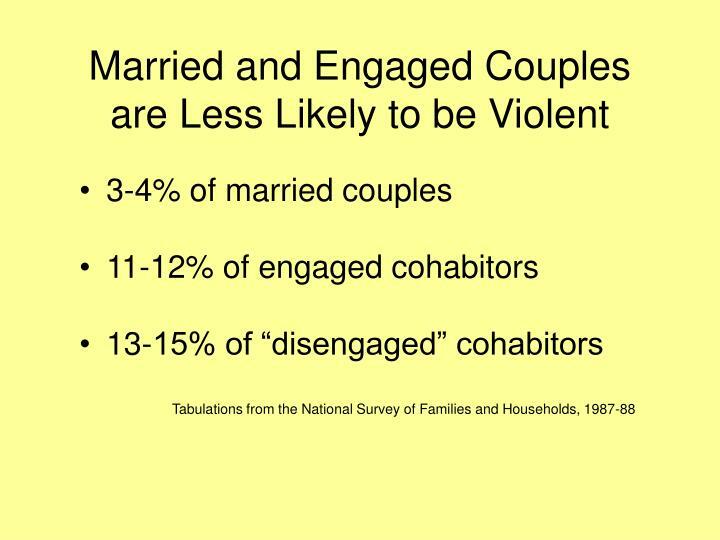 “Both young men and women smoked less,…and snorted less cocaine,” during the year before marriage. 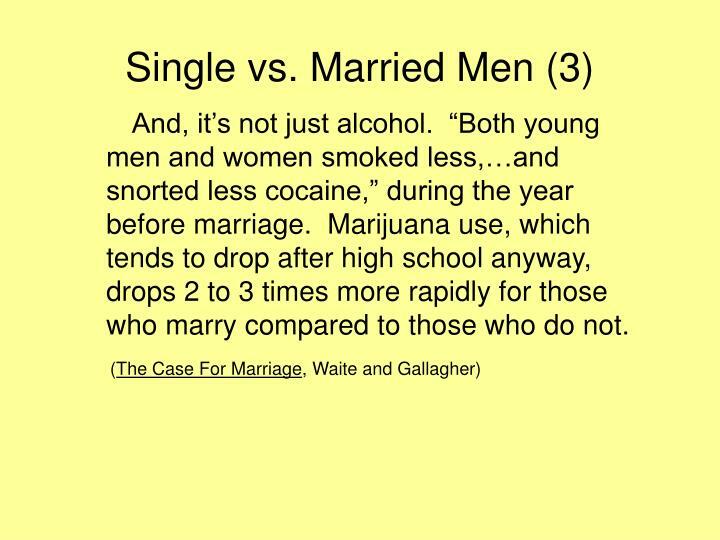 Marijuana use, which tends to drop after high school anyway, drops 2 to 3 times more rapidly for those who marry compared to those who do not. 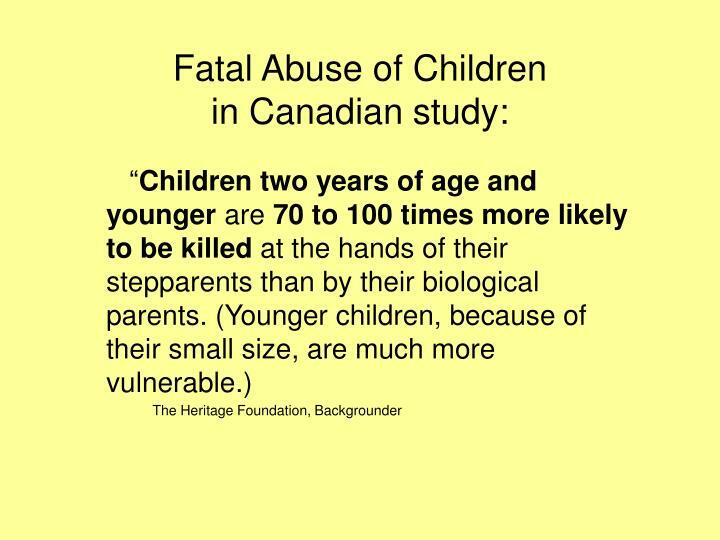 4-5 times more likely to be victims of crimes of violence. 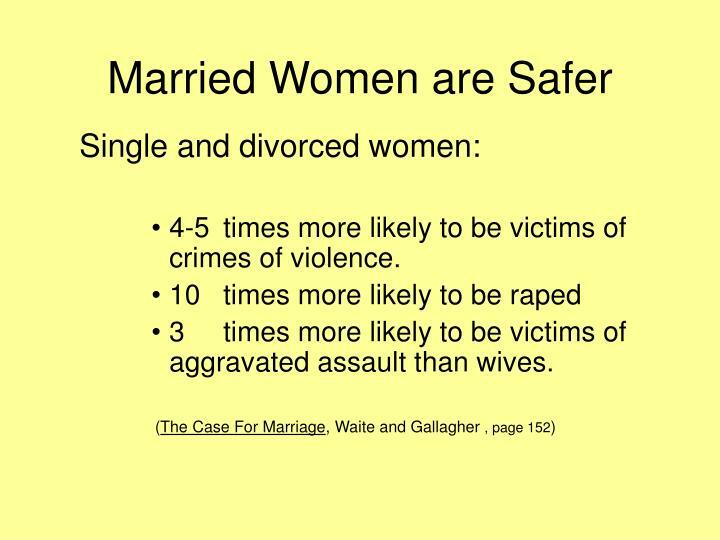 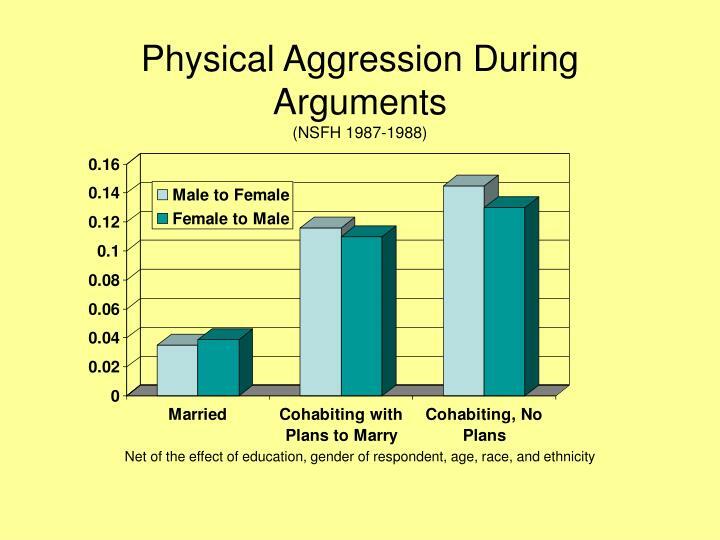 3	times more likely to be victims of aggravated assault than wives. 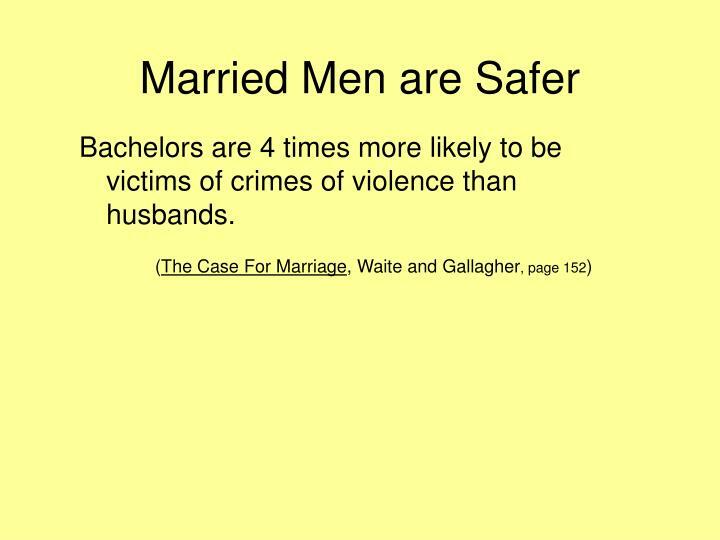 Bachelors are 4 times more likely to be victims of crimes of violence than husbands. 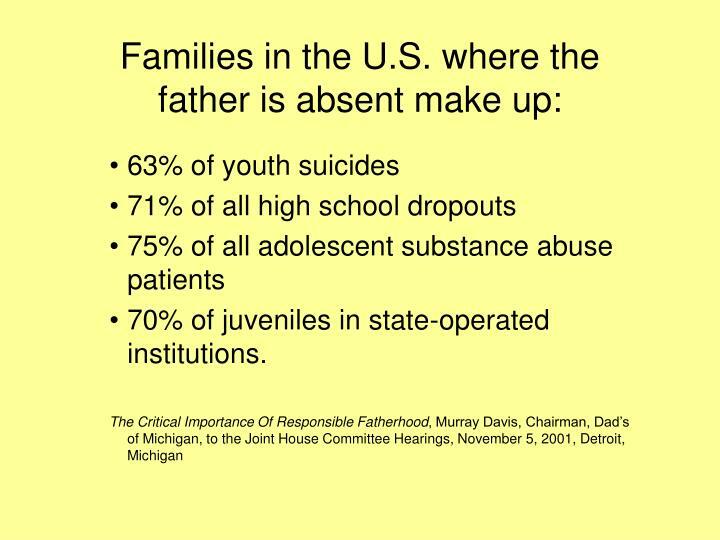 70% of juveniles in state-operated institutions. 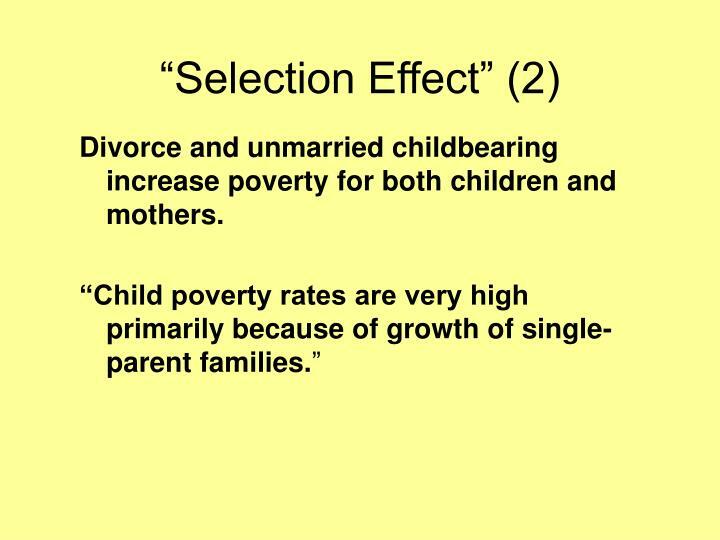 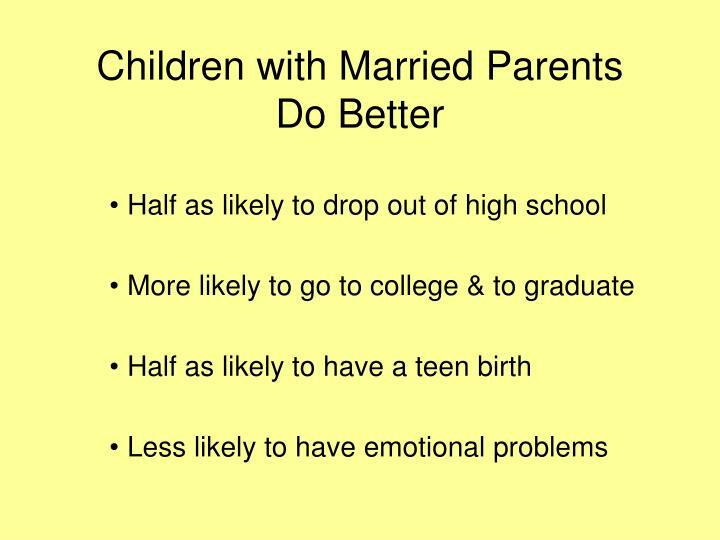 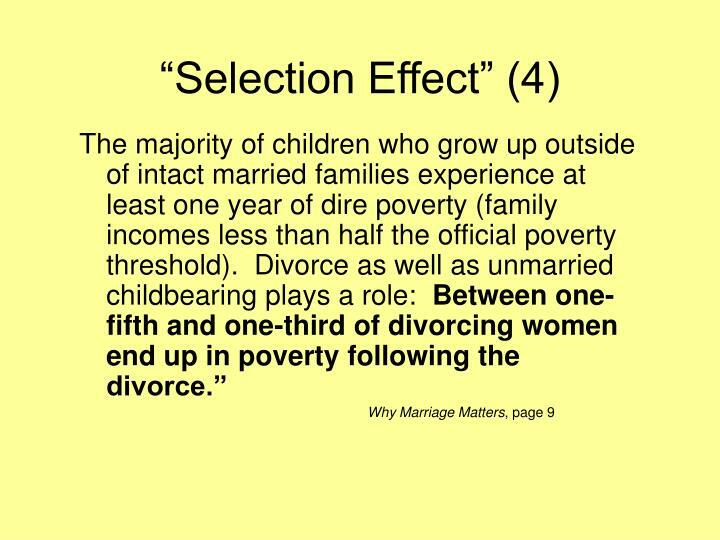 Divorce and unmarried childbearing increase poverty for both children and mothers. 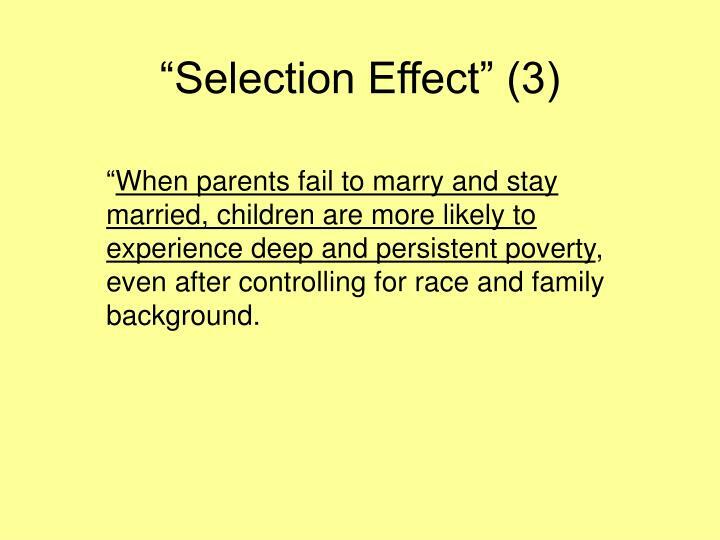 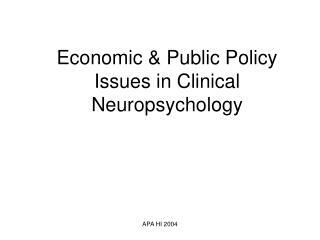 “When parents fail to marry and stay married, children are more likely to experience deep and persistent poverty, even after controlling for race and family background. 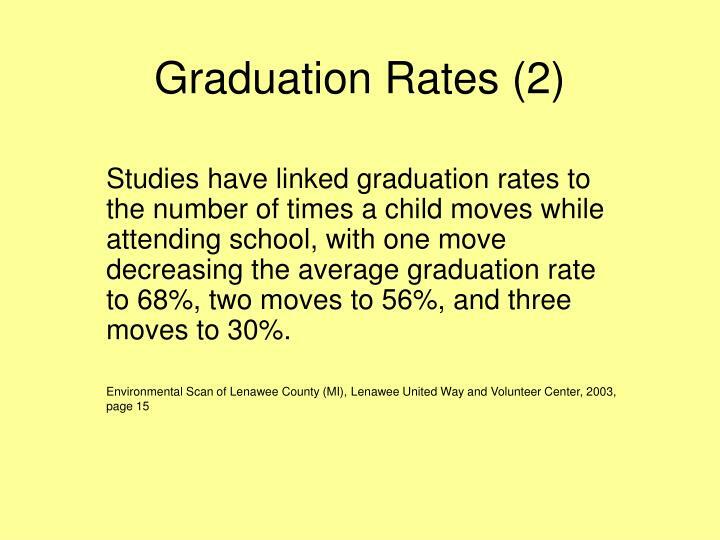 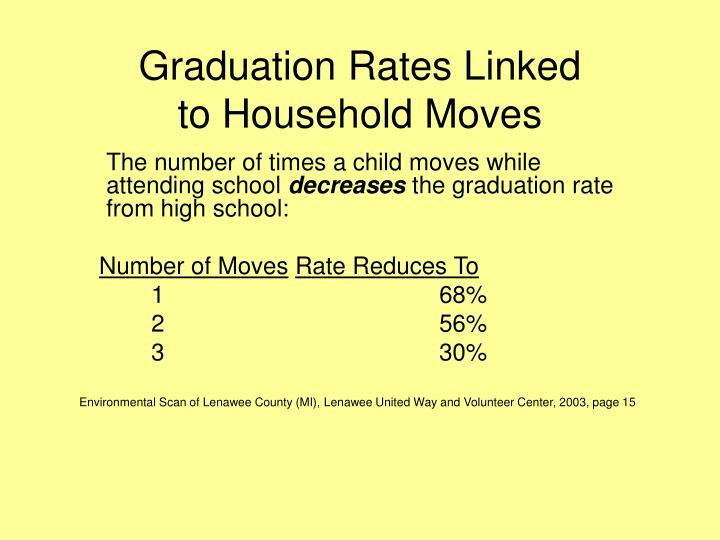 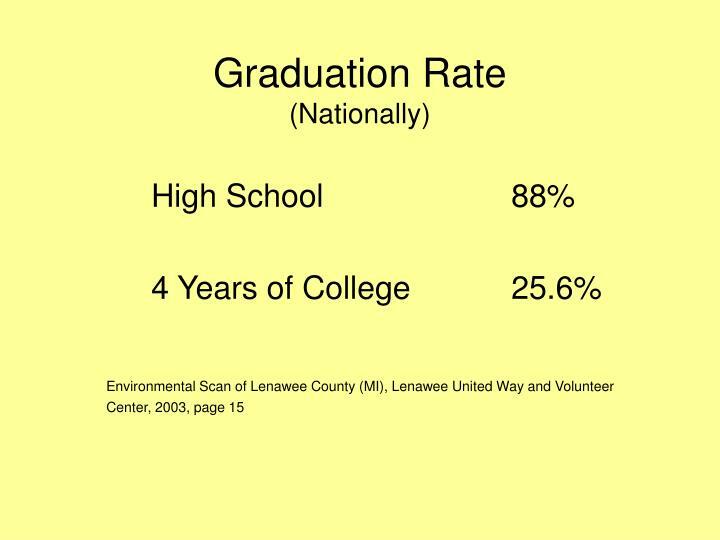 Studies have linked graduation rates to the number of times a child moves while attending school, with one move decreasing the average graduation rate to 68%, two moves to 56%, and three moves to 30%. 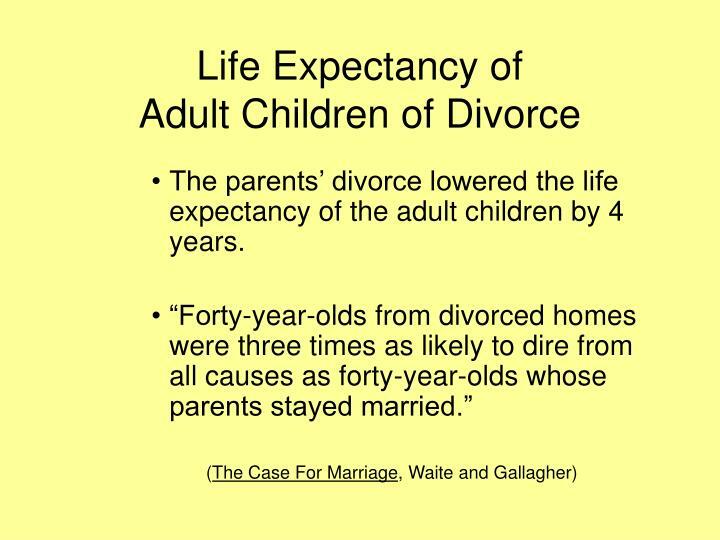 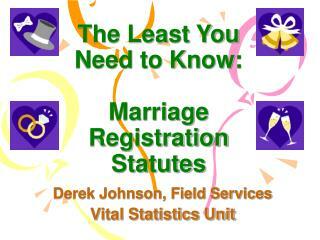 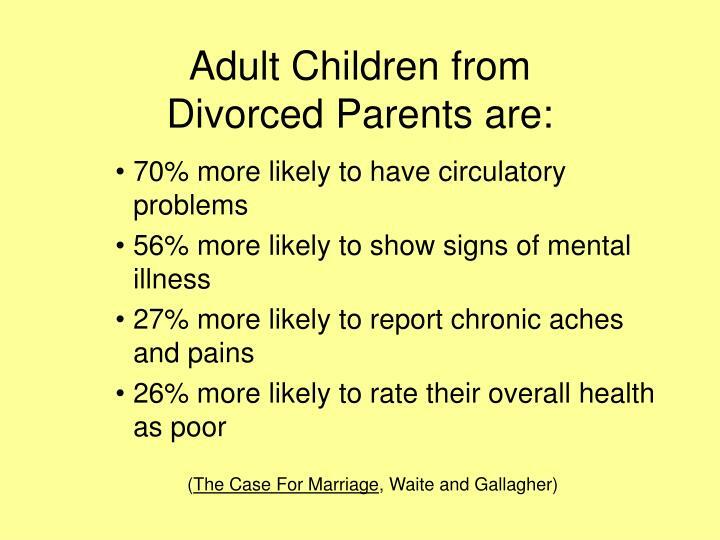 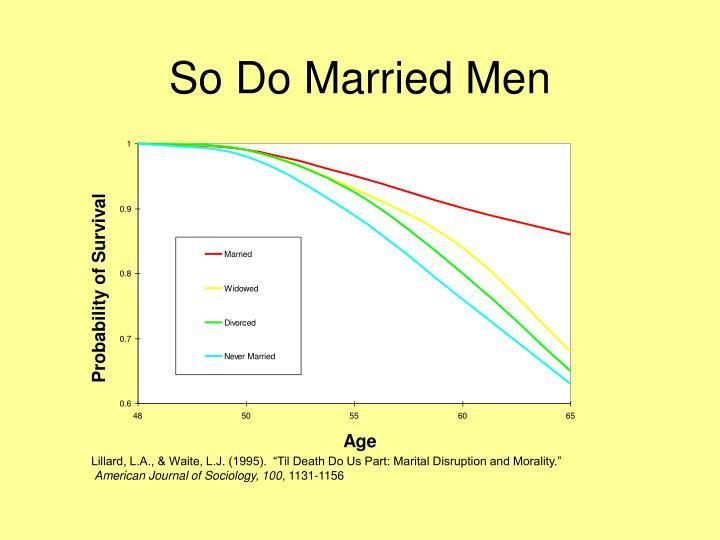 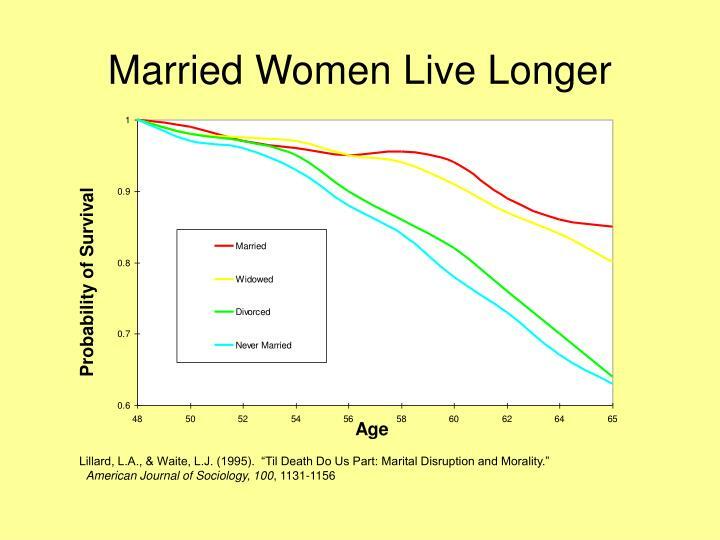 The parents’ divorce lowered the life expectancy of the adult children by 4 years. 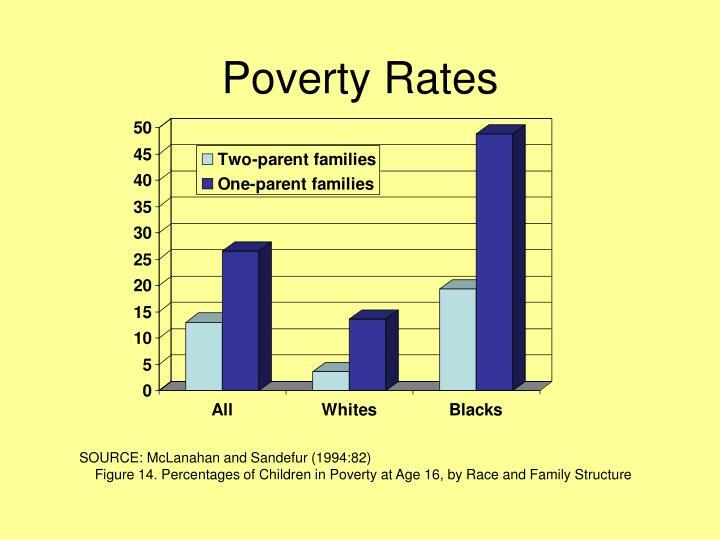 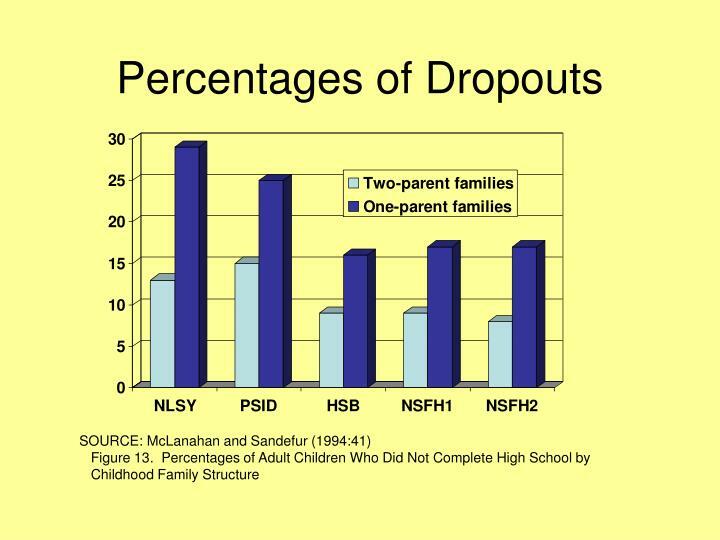 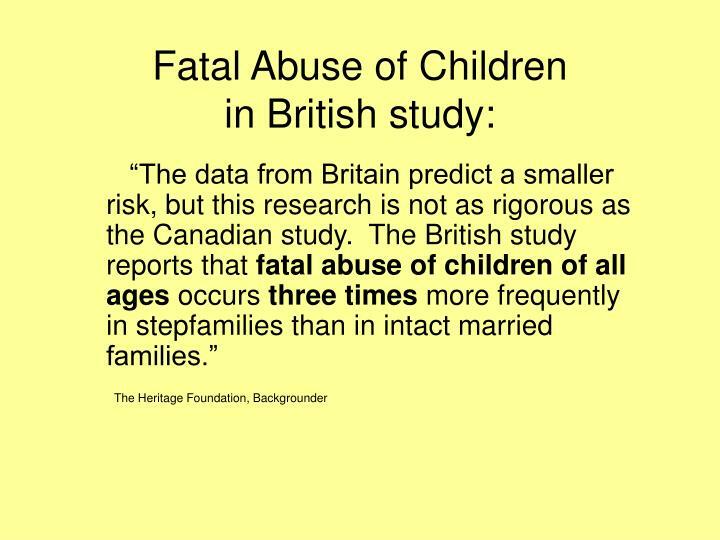 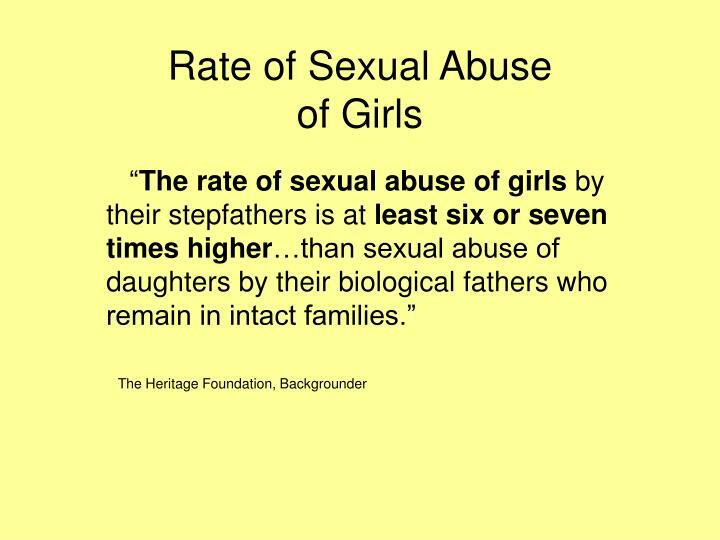 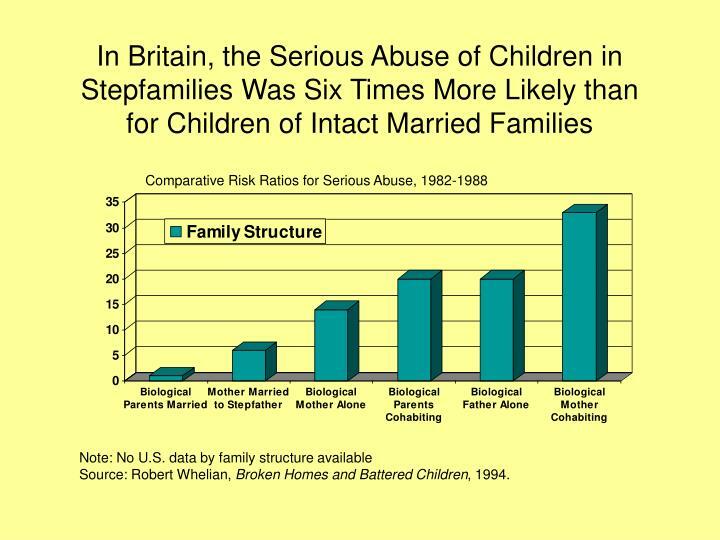 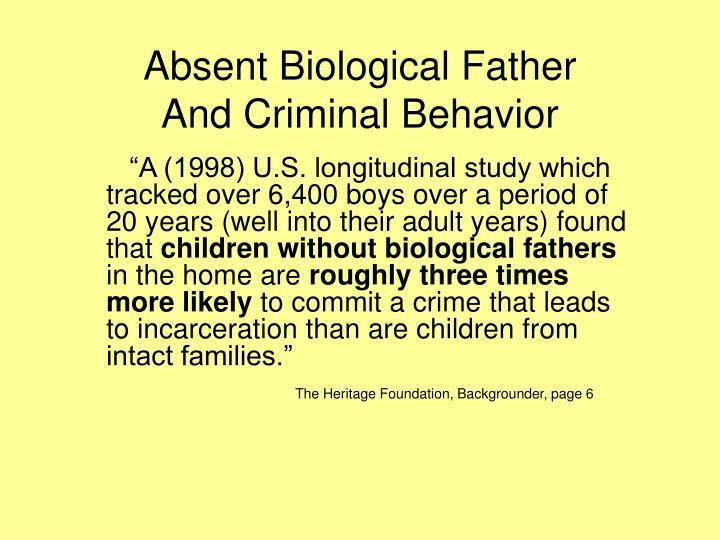 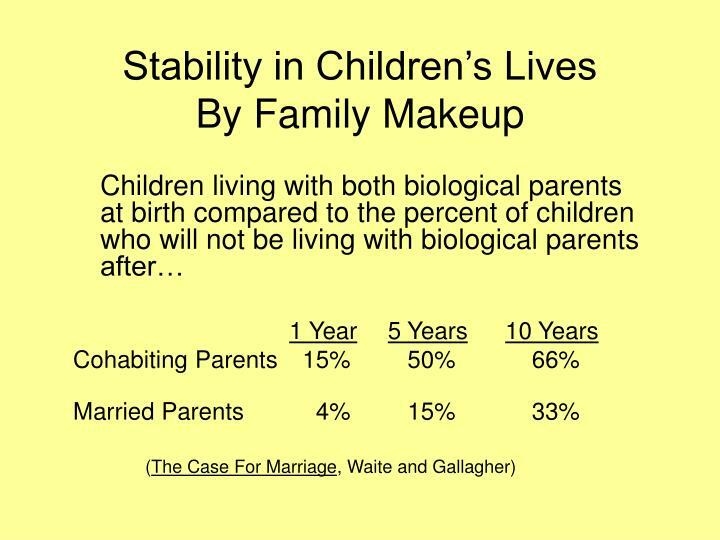 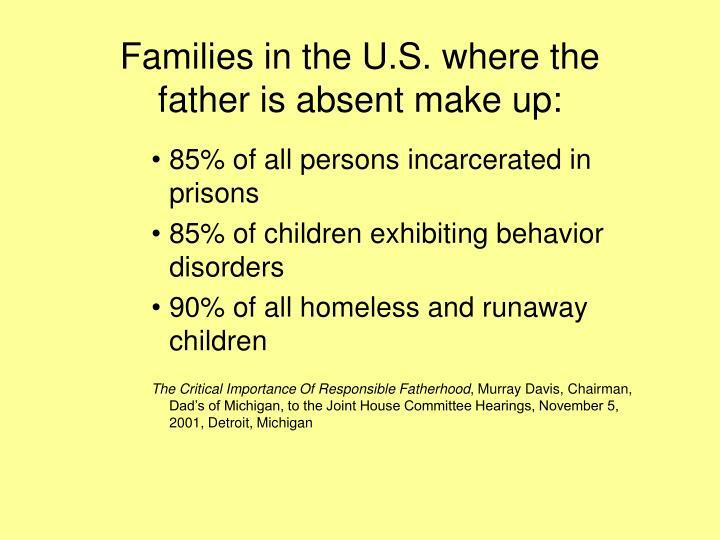 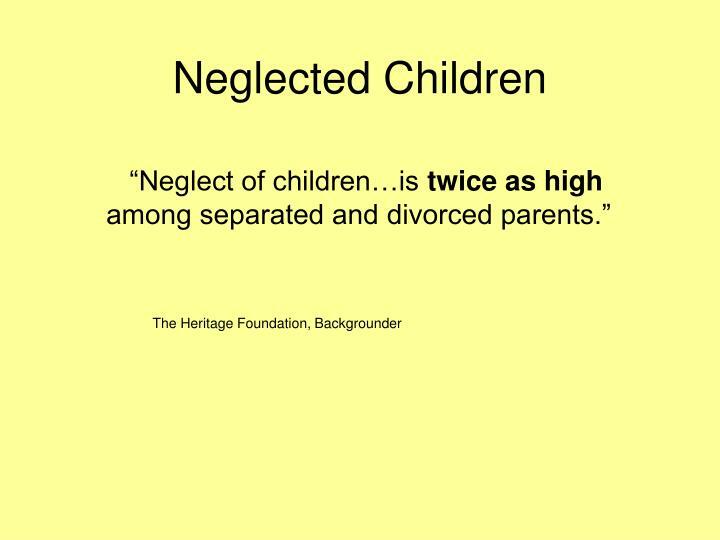 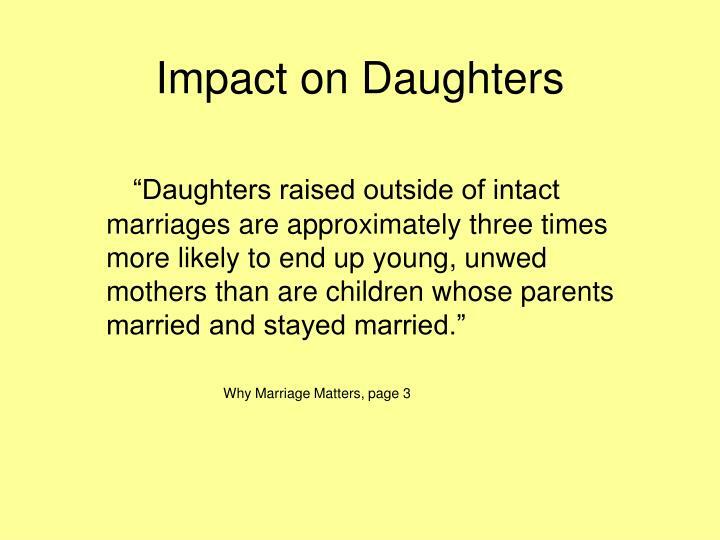 Note: No U.S. data by family structure availableSource: Robert Whelian, Broken Homes and Battered Children, 1994. 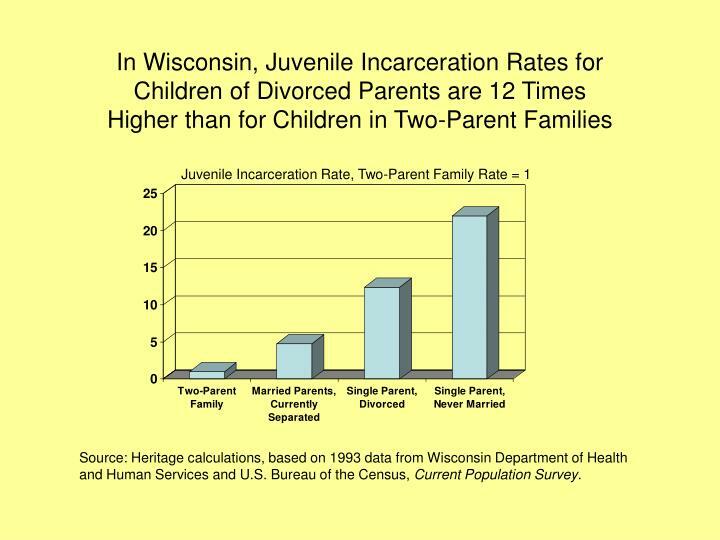 Source: Heritage calculations, based on 1993 data from Wisconsin Department of Health and Human Services and U.S. Bureau of the Census, Current Population Survey. 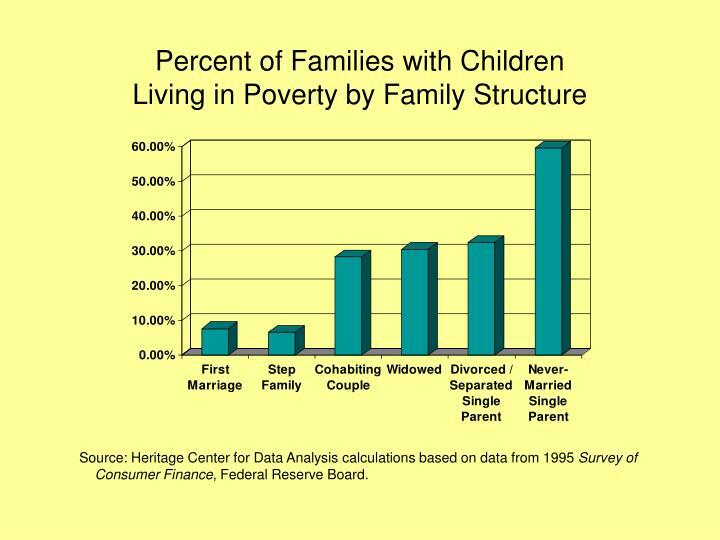 Source: Heritage Center for Data Analysis calculations based on data from 1995 Survey of Consumer Finance, Federal Reserve Board. 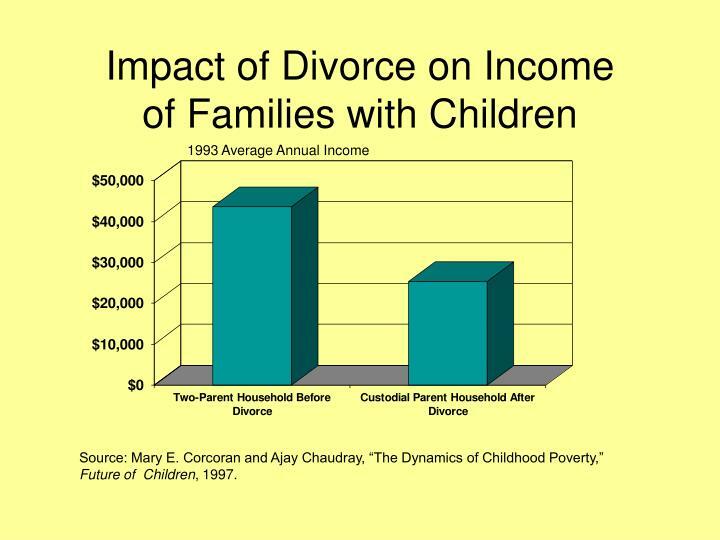 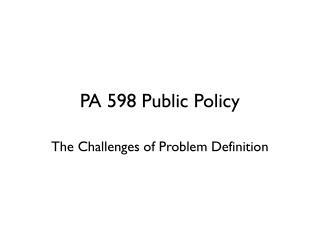 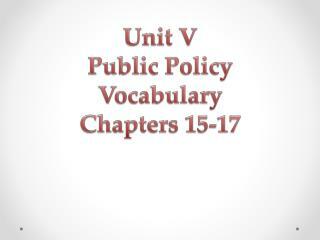 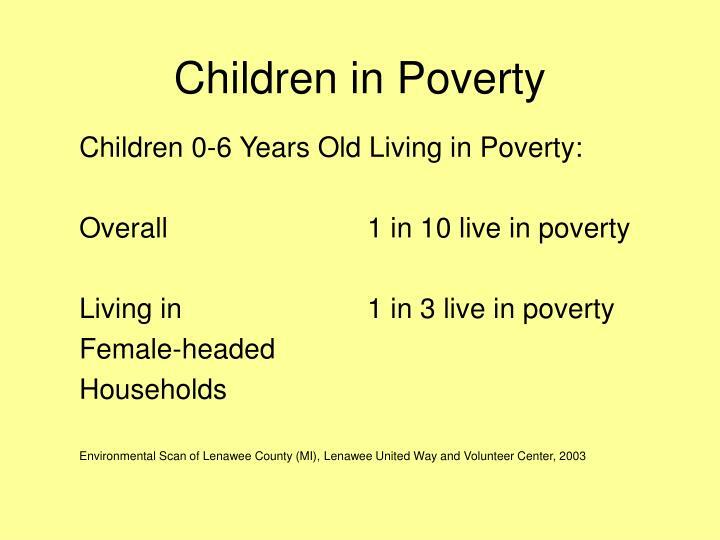 Source: Mary E. Corcoran and Ajay Chaudray, “The Dynamics of Childhood Poverty,” Future of Children, 1997. 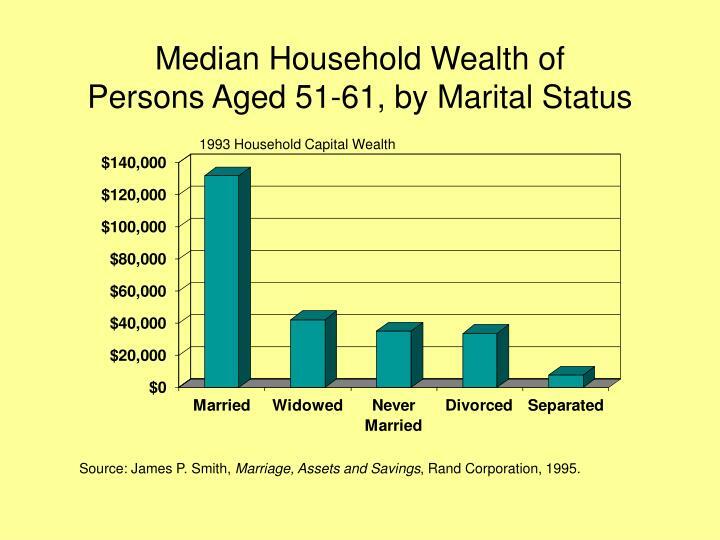 Source: James P. Smith, Marriage, Assets and Savings, Rand Corporation, 1995. 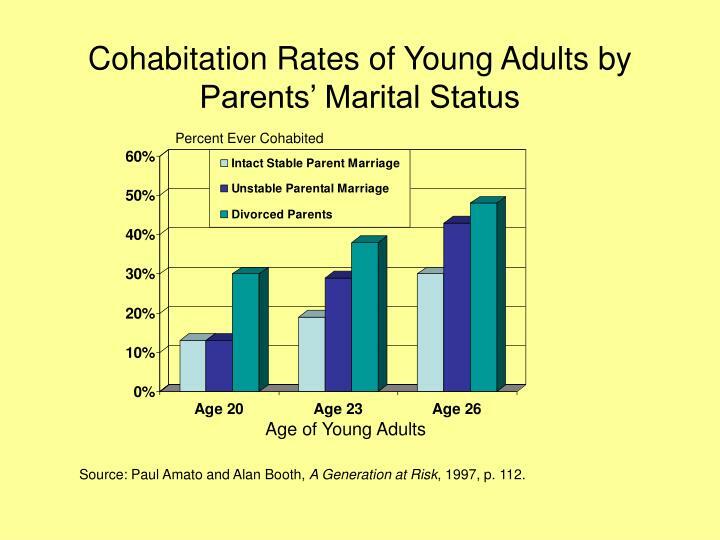 Source: Paul Amato and Alan Booth, A Generation at Risk, 1997, p. 112. 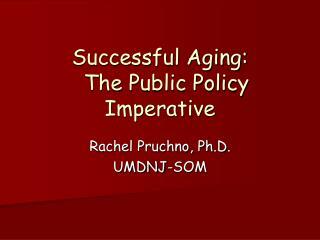 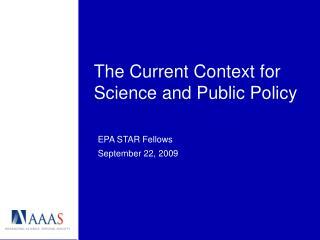 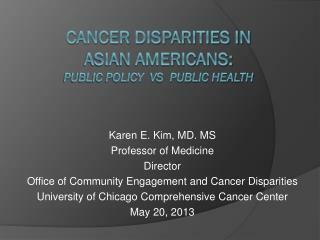 Cancer disparities in Asian Americans: Public policy vs public health -Karen e. kim, md. 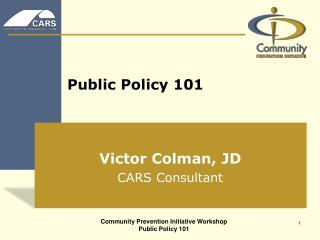 ms professor of medicine director office of community engagement and cancer disparities university of chicago comprehensive cancer center may 20, 2013.